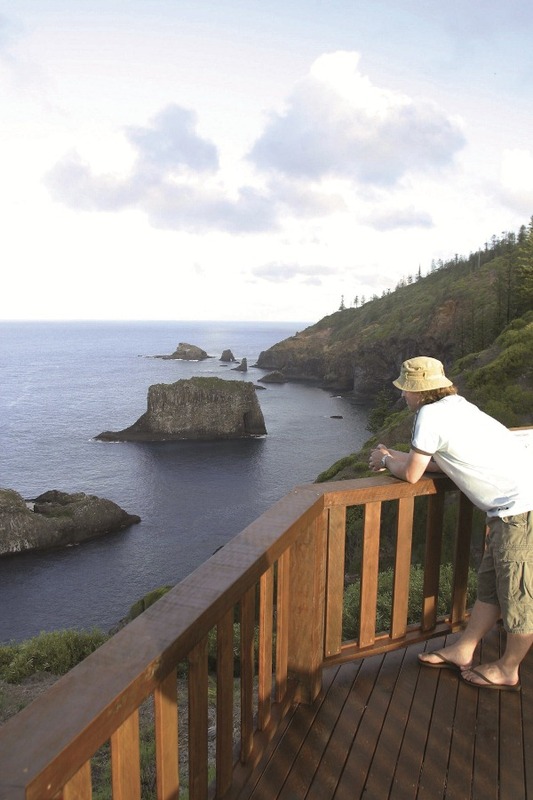 NORFOLK ISLAND is an Australian Territory and is the main island of the volcanic island group located in the South Pacific Ocean lying midway between Australia and New Zealand, east of the Australian mainland at 29°02’S, 167°57’E. It has no large-scale internal bodies of water, but 32km of coastline. 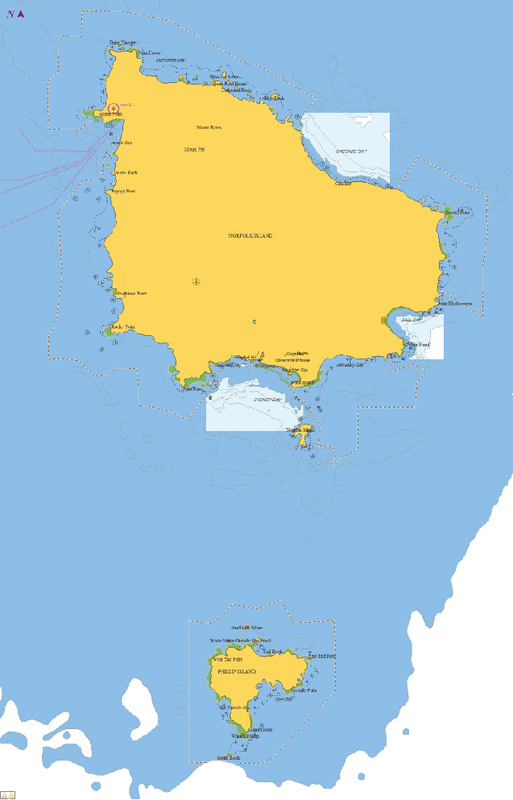 Phillip Island, the second largest island of the territory, is located at 29°07’S, 167°57’E, several NM south of the main island. 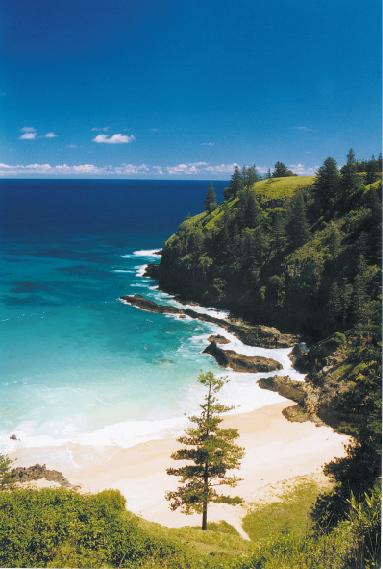 The coastline of Norfolk Island consists, to varying degrees, of cliff faces. A downward slope exists towards Sydney Bay and Emily Bay, the site of the original colonial settlement of Kingston. 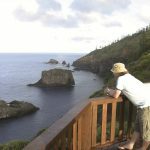 There are no safe harbour facilities on Norfolk Island, with loading jetties existing at the historic settlement of Kingston and Cascade Bay. All goods not domestically produced are brought in by ship, usually to Cascade Bay, but landing in the tender can sometimes be very difficult. 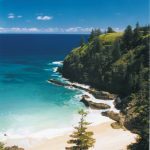 The island is visited mainly by yachts sailing between Australia and the South Pacific islands or by those sailing from New Zealand to New Caledonia and beyond. Sheltering anchorages are at Ball Bay and Headstone where landing is very difficult. None can be regarded as all-weather anchorages. Ships anchor about 1km offshore. Cargo at Norfolk Island is unloaded by the ship’s derricks into lighters which are then towed ashore by motorised launches. 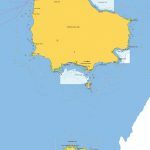 The Norfolk Island Lighterage Service is a Government Business Enterprise of the Administration of Norfolk Island and provides unloading facilities from ship to shore for cargo and passengers, and provides equipment for sea rescue. Emily Bay, protected from the Pacific Ocean by a small coral reef, is the only safe area for recreational swimming, although surfing waves can sometimes be found in Ball Bay. Climate: Mild subtropical climate with little seasonal differentiation. Mean annual rainfall is 1,357mm although El Niño events can cause prolonged droughts. Seasonal changes are moderated by the ocean, but winters are wetter than the rest of the year.